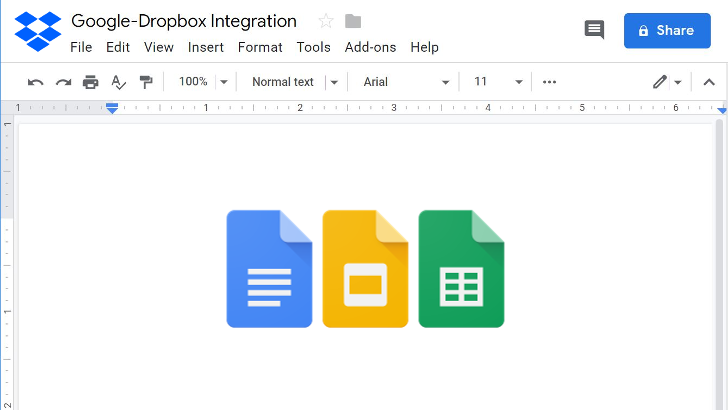 Dropbox is allowing some of its enterprise customers to edit text, spreadsheet and presentation files in Google Docs, Sheets, and Slides straight from its cloud storage platforms. The new functionality, first announced last year, is being tested in an open beta program. Following a slew of second-generation Material Design updates for the web over the past month or so (namely Calendar, Classroom, and Google Accounts), Google is bringing its modern design aesthetic to several more G Suite platforms on the web. Material Design is hitting Google Docs, Sheets, Slides, and Sites beginning today, January 15. 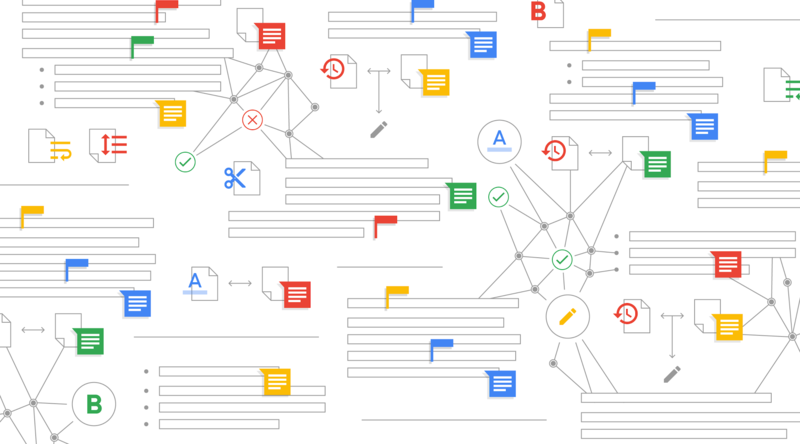 Creating a new document with Google Docs was never a particularly labor-intensive task; all you have to do is open the appropriate site and click "New." But now, Google has simplified the process even further by allowing users to start new documents right from their browsers' address bar using domains that end in ".new." 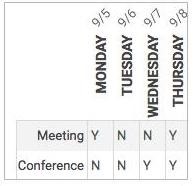 Google has announced a series of new features for Sheets today, including macro support and improvements to spreadsheet printing. While Google Sheets has long been perfectly capable of creating and handling basic or even moderately complex spreadsheets, it fails to fully replicate the functionality of Microsoft Excel, making it a nonstarter for most power users. 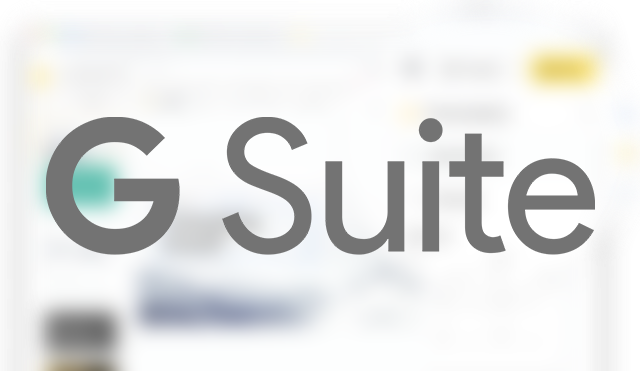 For professional use cases, Excel still reigns supreme, and Google needs to address Sheets' shortcomings if it ever hopes to make it a viable alternative for professional customers. I get it - spreadsheets aren't the most exciting thing in the world. Still, Google has continued to improve the mobile and desktop apps, most recently adding text rotation and other formatting features to the Android app. Now the company has added a few major improvements to Sheets, starting with some machine learning magic. Google's Docs and associated programs aren't really replacements for full desktop office suites - at least not yet. But little by little, the company keeps adding more and more features to their web and mobile tools. Sheets, the Google equivalent of Microsoft Excel and similar spreadsheet programs, is getting some crucial updates on the web and Android very soon. A big one is support for standard accounting number formatting (available in the Format menu). That's a huge boon for businesses that rely on Sheets. 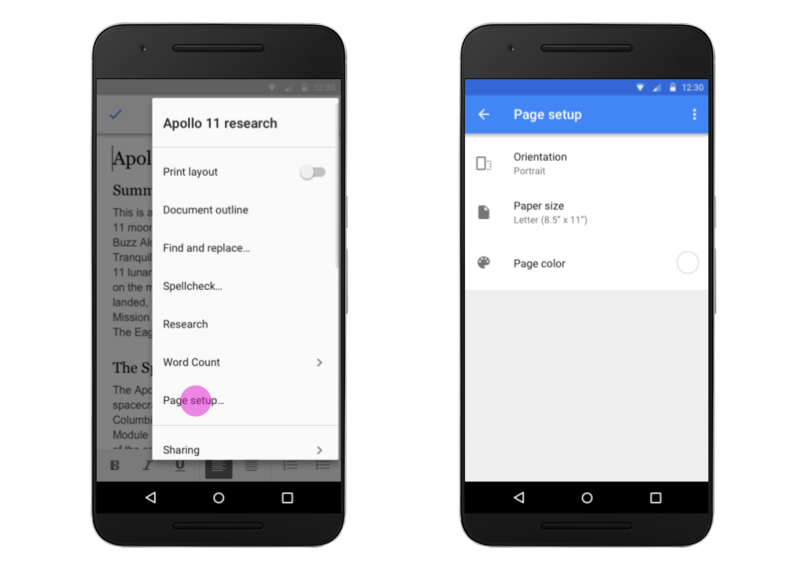 The Android apps for Google Docs can be handy for quick edits, but lack many of the features available through the web app. 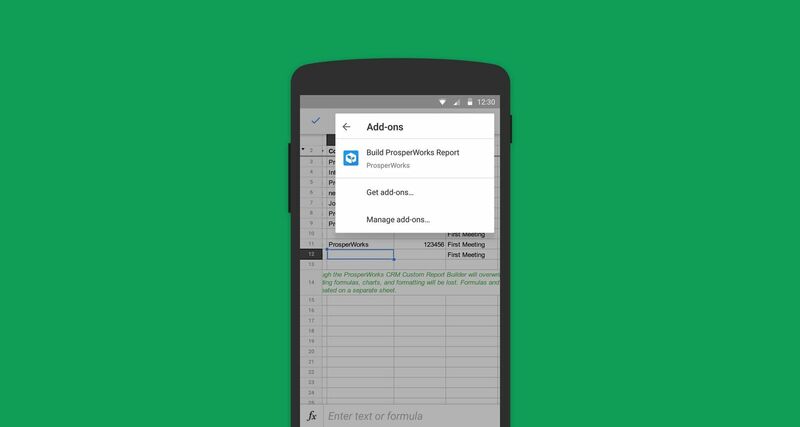 Today's update for the Docs, Sheets, and Slides apps for Android bring a few useful features to mobile. Two years ago Google introduced extensions for Google Docs and Sheets. These third-party add-ons expanded on what the browser-based word processor and spreadsheet could do, often integrating them with online services. Now that functionality has made its way to Android.